FDA Approved: CardioInsight (ECGI) Mapping and Ablation System Now Available in U.S.
Medtronic’s CardioInsight Noninvasive 3D Mapping System (ECGI) has received FDA clearance for use in the U.S. The CardioInsight system is the first non-invasive mapping system in the world. Dr. Vivek Reddy at Mount Sinai Medical Center in New York City was the first to use the system commercially in the U.S. The CardioInsight system allows physicians to locate the origin of a patient’s irregular heart rhythms (arrhythmias). Cardiac mapping is traditionally achieved by inserting a catheter into the heart via an artery or vein. The CardioInsight 3D system instead uses a 252-electrode sensor vest to non-invasively (from outside the heart) map irregular rhythms like A-Fib. The vest is a single-use, disposable multi-electrode vest that gathers cardiac electrophysiological data from the body surface. The 3D mapping system combines these signals with CT scan data to produce and display simultaneous 3-D cardiac maps. The vest technology contours to the patient’s body and allows for continuous and simultaneous panoramic mapping of both atria or both ventricles, which cannot be achieved with current invasive methods. The 3D cardiac maps can be created by capturing a single heartbeat, and enable rapid mapping of these heart rhythms. VIDEO: To learn how the vest is applied to the patient, see the vest application instructional video at the Medtronic CardioInsight™ Mapping Vest webpage. ECGI mapping is certainly one of, or even the most important new development in the treatment of A-Fib. In 2013, I started reporting about this ECGI system. Prof. Haissaguerre and his colleagues in Bordeaux, France, were very active and instrumental in the use of the CardioInsight system. They are credited with the greatest number of presentations and publications on the system. CardioInsight expanded its rollout to eight different venues in Europe where it tested as well as it did at Bordeaux. It’s now available in the U.S.―great news for patients. Not only does the CardioInsight (ECGI) system produce a complete, precise, 3D, color video of each spot in a patient’s heart producing A-Fib signals, but also the video can be done by a technician before the procedure right at the patient’s bedside rather than by the electrophysiologist (EP) during an ablation. It also can be used during the procedure, for example to re-map an ablated area. The CardioInsight map is a better, more accurate, more complete map than an EP can produce by using a conventional mapping catheter inside the heart. Should You Wait on Your Ablation for ECGI Mapping? From a patient’s perspective, CardioInsight (ECGI) reduces both the time it takes to do an ablation and the number of burns a patient receives. The question for patients is, should you wait on having an ablation till a CardioInsight mapping system is available at your center? The CardioInsight mapping system is most effective in cases of persistent or long-standing persistent A-Fib. The CardioInsight mapping system is most effective in cases of persistent or long-standing persistent A-Fib where non-PV triggers have developed. Most cases of short-duration, paroxysmal A-Fib haven’t usually developed a lot of non-PV triggers. Hence, if you’ve only been in A-Fib for a relatively short time and are still paroxysmal, it’s probably not worth the wait. Medtronic will employ a strategic rollout of the technology in the geographies where it is cleared. I will try to report when an A-Fib center in the U.S. receives a CardioInsight system..
To read more about the CardioInsight (ECGI) system, see my article, How ECGI (Non-Invasive Electrocardiographic Imaging) Works. Disclosure: Dr Vivek Reddy consults for and receives research funding from Medtronic. AliveCor, maker of the Kardia ECG smartphone attachment to detect Atrial Fibrillation, may be a big winner in a plan by the British National Health Service (NHS). Dr. David Albert, AliveCor founder, said the British plan opens the door to the NHS buying AliveCor devices for all 2 million atrial fibrillation patients in England. The NHS has announced plans to give millions of patients free health apps & connected health devices in a bid to promote self-management of chronic diseases. The plan is expected to “save money and lives by preventing strokes.” About 20 percent of British A-Fib patients have strokes. The program will start in April 2017. The AliveCor Kardia, cleared for use in the US by the FDA, attaches to Android and Apple Devices and by pressing the sensors with your fingers (or thumbs), capture single-lead, medical-grade EKGs in just 30-seconds. Instantly you know if your heart rhythm is normal or if atrial fibrillation (A-Fib) is detected in your EKG. Data can be captured and sent to your doctor. Is anyone using the latest AliveCor® version, ‘Kardia™ Mobile’? (Model 1141, out since Feb. 2016) I want to update our Feb. 2015 review. How do you typically use it? Are you satisfied with the performance? Do you transfer the data to your doctor? 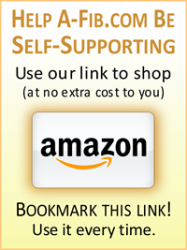 Will you share your product experiences with me? Just shoot me an Email with your impressions. Looking back over 2015, I found five significant developments for those ‘living’ with A-Fib and those seeking their ‘cure’. My ‘Top Five List’ focuses on the Watchman device, a Pradaxa antidote and research findings about lifestyle choices, and reducing fibrosis. Anticoagulant Alternative: Because A-Fib patients are at high risk of stroke and clots, a blood thinner (anticoagulant) like warfarin is often prescribed. If you can’t or don’t want to be on blood thinners, you had few options. That was until March 2015 when the US Food and Drug Administration (FDA) approved the Watchman device. There’s now an option to blood thinners! The Watchman device (Boston Scientific) is inserted to close off the Left Atrial Appendage (LAA), the origin of 90%-95% of A-Fib clots. To read my complete Top Five List…go to My 2015 Top Five List: A Review of Advancements in the Treatment of A-Fib->. With the beginning of a new year, we often look back and measure how far we’ve come. In 2015, I found five significant advancements in the treatment of Atrial Fibrillation. It’s not an absolute guarantee you will never have a stroke―but neither is taking warfarin or the newer anticoagulants. For more, see Watchman Device: An Alternative to Blood Thinners. It’s too early to say the same about the newer anticoagulants like Pradaxa, Xarelto, Eliquis and Savaysa/Lixiana with their short history but one would expect the same general principles to apply. For more, see Watchman Better Than Warfarin. Up to now, patients on Pradaxa have been bleeding to death in the emergency room while doctors were powerless to stop their bleeding and could only stand by and watch them die. See Stop Prescribing or Taking Pradaxa. In October 2015, the FDA granted “accelerated approval” to Praxbind, the reversal agent (antidote) to Pradaxa (Boehringer Ingelheim). Praxbind (idarucizumab) is given intravenously to patients and reverses the anticoagulant effect of Pradaxa within minutes. Note: The reversal agent, Andexanet Alfa, is on FDA fast track and is expected to be approved by mid-2016 as an antidote for Xarelto and Eliquis (Factor Xa inhibitors). Weight Loss: A weight loss program and counseling in Australia has worked so well that some patients have become A-Fib free. In his Adelaide clinic, Dr. Prashanthan Sanders convinces his overweight A-Fib patients to buy into the program, lose weight, and keep it off. This holistic approach to health has also been successfully applied to other A-Fib contributing factors such as diabetes, sleep apnea, hypertension, binge drinking and smoking. See Weight Loss Key to Reverse Atrial Fibrillation, Improve Ablation Success. Exercise: But not everyone can lose weight and keep it off. And other risk factors like hypertension and diabetes are more difficult to permanently change. The same Australian researchers found that exercise improves A-Fib (even obese A-Fib patients benefit from exercise). Supervised aerobic and strength exercises reduced A-Fib by 84%. Combine for Best Results: Exercise and weight loss together produced the best results. An astounding 94% of obese patients who both lost weight and exercised regularly were A-Fib free after rhythm control therapy (i.e. antiarrhythmic drugs and/or catheter ablation). Couch Potato Warning: If you don’t exercise regularly, you’re almost guaranteed to stay in A-Fib. Even with rhythm control (antiarrhythmic drugs and/or ablation), 83% of the low-fitness obese patients had A-Fib. A-Fib produces fibrosis, and up to now, was considered permanent and irreversible. Fibrosis is fiber-like scar tissue that stiffens and weakens the heart muscle which reduces pumping efficiency and leads to other heart problems. (See Fibrosis and A-Fib). Dr. Jose Jalife’s experimental studies with sheep found that a Gal-3 inhibitor (GM-CT-01) actually reduced or prevented fibrosis. Better yet, instead of having to wait years for possible FDA approval, a natural supplement, Pecta-Sol C (Modified Citrus Pectin) works like a Galectin-3 inhibitor. For A-Fib patients, this may provide the means to avoid fibrosis or repair fibrotic heart tissue. (See Galectin-3 Inhibitor Prevents A-Fib). On a personal note, I’m excited about the great potential of the Watchman device to significantly reduce or eliminate the threat of strokes—especially in the elderly―even if they don’t have A-Fib. Imagine a world where stroke risk could be eliminated by a simple 20-30 minute procedure. The Watchman device (and other occlusion devices) may change the way elderly medicine is practiced. Should the Left Atrial Appendage (LAA) be Removed in Patients With A-Fib? He further stated that in patients over 70 years old, especially women, the LAA plays a more important role so much so that the PVs are often silent. Removing or closing off the LAA reduces the pumping volume of the left atrium by 15% to 30%. But after the LAA is removed, the overall left atrium volume improves. The LAA is responsible for neuroharmonal changes such as natriuretic peptide levels (i.e., regulates the amount of sodium in the urine) which are important for bodily functions such as thirst. When the LAA is removed, natriuretic peptide levels go down. But Dr. Lakkireddy’s research shows that over time these levels normalize. Other heart areas such as the right atrium compensate and produce more natriuretic peptides to make up for what the LAA used to produce. renin-angiotensin system (hormone system that regulates blood pressure and fluid balance). Dr. Lakkireddy found that removing or closing off the LAA at the same time as a catheter ablation for A-Fib reduces recurrence rates by 29%. Why LAA A-Fib Signal Sources in Older People—Why Do PVs Go Silent? One of the most important findings of Dr. Lakkireddy’s research is that in older people the LAA is the most important source of A-Fib signals, so much so that the PVs are often silent. This is counter-intuitive and hard to understand. If, as we know from years of previous research, A-Fib usually starts and is most often found in the PVs, why do the PVs go silent and A-Fib activity mostly move to the LAA in older people? What is the physical or chemical mechanism that causes this major change? Dr. Lakkireddy’s presentation was the most important and ground-breaking for older A-Fib patients. It should change the way ablations are performed on older people. If you are over 70 years old, in persistent A-Fib and aren’t very active, you must seek out EPs and centers who understand and ablate the LAA. Most EPs don’t even look at the LAA as possible A-Fib signal sources. Don’t rely on your local EP to learn about this research and adopt any requisite new ablation strategies. It certainly looks like, in the case of older people with A-Fib, the LAA should be removed by an occlusion device (either the Lariat or by surgery [AtriClip]). In addition to the known benefit of reducing A-Fib stroke risk (90%-95% of A-Fib clots come from thee LAA), the LAA is a major and often the only source of A-Fib signals in older people. And according to Dr. Lakkireddy, there is very little downside to removing the LAA. Blood pressure goes down, over time natriuretic peptide levels return to their pre-LAA levels as the heart compensates, the lost LA pumping volume does improve, and recurrence rates are reduced when the LAA is removed. In the case of a catheter ablation for A-Fib, it may not be necessary to remove the LAA at the time of the ablation. Since it is a safer procedure than even an A-Fib ablation, the LAA could be removed three months before or after a catheter ablation. In a fascinating experimental study with sheep, Dr. Prashanthan Sanders from Royal Adelaide Hospital in Australia, overfed sheep so that they developed sustained obesity for 72 weeks. Their fibrosis increased. Their atria were damaged by fibrotic tissue replacing normal atria muscle. As the sheep moved from being overweight to obese, it was progressively easier to induce A-Fib. Then Dr. Sanders made the sheep lose weight. With a 30% weight reduction, the fibrosis was no longer present! The sheep were similar to the lean sheep controls. Dr. Sanders used activation mapping to show that in the obese sheep there was an increased delay in activation suggesting delayed conduction. It took a longer time to activate the atria. But when the obese sheep lost weight, conduction became normal. Also there were improvements in left atrial pressure, inflammatory cell counts and fibrosis, atrial TGf beta 1 and reversal of connexin-43 and ETR-beta (which contribute to fibrosis). Dr. Sanders also stimulated sheep into progressive hypertension for 15 weeks. As with the obese sheep above, these hypertensive sheep developed fibrosis. And activation mapping again showed delayed and abnormal conduction. Citing other research, including from Dr. Andrea Natale’s group, repetitively blocking off breathing as in sleep apnea developed increased fibrosis as well as slowed atrial conduction, increased atrial size, and induced more atrial fibrillation. Dr. Sanders pointed out that A-Fib patients with cardiovascular risk factors like obesity, hypertension, and sleep apnea are more likely to progress to persistent A-Fib than individuals with few or no risk factors. In a previous report Dr. Sanders described the great results he is achieving by having his overweight A-Fib patients lose weight, buy into the program and keep the weight off. Sometimes this life style change alone makes them A-Fib free. But not everyone can lose weight and keep it off. Other risk factors like hypertension and diabetes are more difficult to permanently change. And once A-Fib is well established, life style changes aren’t as effective. Though life style changes certainly do improve overall health and heart health. Unlike some of Dr. Sanders results with sheep, fibrosis in general is considered permanent and irreversible. Approximately half of people with A-Fib have no risk factors or co-morbidities (which used to be called “Lone A-Fib.”) I, for example, developed A-Fib at age 54 when I was in perfect health, running track and 5ks, lifting weights, etc. Life style changes aren’t always effective in cases of Lone A-Fib. Why do some people with A-Fib stay Paroxysmal for years while others progress rapidly to Persistent A-Fib? Perhaps Dr. Sanders has discovered the reason. Risk factors or co-morbidities like obesity, sleep apnea, hypertension, diabetes, etc. make people more likely to transition from paroxysmal to persistent A-Fib. Patients with A-Fib risk factors should be warned of this danger. Here’s yet another scary thought for anyone with A-Fib. According to Dr. Sanders, fibrosis may feed upon itself producing yet more fibrosis. Though this isn’t normally done today, anyone diagnosed with A-Fib ought to have a heart MRI to measure exactly how much fibrosis has developed in their heart and how much and how fast it is progressing. This danger of fibrosis progression is yet another incentive to consider a catheter ablation in order to be A-Fib free with no further progression of fibrosis. The most hopeful, promising research of the 2015 AF Symposium was presented by Dr. Natalia Trayanova of Johns Hopkins Un., Baltimore, MD. She described the “virtual heart”—a computerized model to simulate an individual patient’s heart. The idea is to build computerized models that can be used to guide an individual patient’s therapy. She previously simulated a heart attack in a specific region of an individual heart and how it affected the dynamics of that specific heart. Dr. Trayanova is rapidly developing more atria data and experience. The Bordeaux group is providing her patient data from their ECGI body surface potential mapping system (CardioInsight). She has done approximately a dozen retrospective studies using the virtual heart technology (as of January 2015). Dr. Trayanova and her team start by doing an MRI scan. Then they hyper-enhance segments which correspond to areas of fibrotic remodeling. The next step is to develop a computational mesh that incorporates representations of ion channels, calcium cycling and other electrophysical aspects of an individual’s atria. All this is incorparated into patient-specific geometry of the model. Then they let the model run and see what the arrhythmia looks like. Does the fibrotic substrate anchor rotors in particular locations? What are the spatial characteristics of the regions where they are located? Can these spatial metrics guide where the proper ablation should be? Dr. Trayanova’s team merges these virtual atria with a CARTO map to predict where the catheter should ablate. The potential of Dr. Trayanova’s research for A-Fib patients is incredible! Imagine getting an MRI and knowing where your A-Fib is coming from, how your A-Fib affects and works in your heart both now and in the predictive future, how various A-Fib drugs can be expected and predicted to affect your heart, how much and what kind of fibrosis you have, how you can expect your fibrosis to progress and affect you over time, what therapies should be done in your particular case, if you need a catheter ablation, where exactly in your heart the EP needs to ablate, and to be able to accurately predict whether or not or how fast you will progress from paroxysmal to persistent A-Fib based on computer models that mirror your own heart. Dr. Trayanova’s research has the potential to radically change the way A-Fib is treated. Almost all the uncertainties EPs and A-Fib patients now have to deal with can potentially be eliminated with the virtual computer reconstruction of individual A-Fib hearts. The Watchman device is in the last stages of the approval process from the FDA. This is a true “tipping point” in the development of devices to help A-Fib patients (The Watchman is approved everywhere else in the world). If (or rather when) the Watchman is approved in the U.S., it will be because of the dedicated, thorough research of Dr. Vivek Reddy and his many colleagues and researchers. Dr. Vivek Reddy of Mount Sinai Hospital gave a historically important talk entitled “5 Year Follow-Up Data On Watchman in Coumadin Eligible Patients.” He discussed the two major clinical trials of the Watchman device—PROTECT-AF and PREVAIL. The PREVIAL clinical trial was a smaller study designed to confirm the results of the PROTECT-AF trial and validate the safety of the implant procedure. With regards to the Primary Efficacy Endpoint (composite of all stroke, systemic embolism, and cardiovascular/unexplained death at 18 months), “non-inferiority was not achieved.” In other words, the Watchman group performed slightly worse than the warfarin control group. But for some reason the warfarin control group performed much better than in any other trial. The Ischemic Stroke Rate per 100 patient-years was 1.1 in PROTECT-AF, while in PREVAIL it was only 0.3. In other words, the warfarin control group in PREVAIL overperformed compared to any other clinical trial. Dr. Reddy pointed out to the FDA panel October, 2014 that the longer-term follow-up of the PROTECT-AF trial confirmed the efficacy of the Watchman therapy, even though the PREVAIL trial trended negative compared to the warfarin control group. But this particular PREVAIL warfarin control group was “unusual” and performed much better than expected. Looking at other adverse events, the hemorrhagic stroke rate was 0.4% for the Watchman arm and 0.7% for the warfarin control group. The Cardiovascular Death rate was 1.4% for the Watchman vs. 2.3% for warfarin. When you combine the PROTECT-AF and PREVAIL studies even with the “unusual” PREVAIL warfarin control arm results, “All Stroke” is non-inferior or about the same for both arms. Also, as one would expect, after 6-months post implant, the Watchman arm had significantly less bleeding events than warfarin. The Early Safety Endpoint in PREVAIL was achieved. • There was a significant increase in inplant success rate (95.1%) compared to PROTECT-AF (90.9%). There was no significant difference in complication rates between experienced and new implanters, demonstrating the success of the physician training program. Following successful implantation, 99.3% of patients were able to discontinue warfarin after 12 months. • There was a 52% reduction in procedure/device related vascular complications (1.9% in PREVAIL vs, 4.0% in PROTECT-AF). • There was a 52% reduction in pericardial effusions requiring intervention and at a rate comparable to other left atrial procedures. Because of a freak statistical accident, the warfarin arm in the PREVAIL trial performed much better than expected and much better than in any previous trials. Perhaps if the PREVAIL trial were longer or had more subjects, the results might approach the longer PROTECT-AF trial. One shouldn’t interpret the results of PREVAIL as negating the conclusive results of the longer PROTECT-AF trial. In PREVIAL the Watchman device performed just as well as in PROTECT-AF. Only the warfarin control arm was different. The most significant finding of PREVAIL was the the Early Safety Endpoints were achieved. That was the primary reason the FDA wanted the PREVAIL study in the first place. Thanks to the excellent research and presentation by Dr. Reddy and his colleagues before the FDA, I’ll go out on a limb and predict the FDA will approve the Watchman device, probably by the middle of 2015. The Watchman device closes off the LAA where 90-95% of A-Fib strokes come from. It’s a very low risk procedure that takes as little as 20 minutes to install. Afterward, you would usually not need to be on blood thinners. (For more, see my article, The Watchman Device: The Alternative to Blood Thinners). If the FDA were to not approve the Watchman, this would be a major setback in the treatment of A-Fib in the US. The Watchman is approved everywhere else in the world. One would have to go to Canada or overseas to get the Watchman installed. NOTE: Dr. Reddy also discussed this topic in February at the 2015 International Symposium on Left Atrial Appendage (ISLLA) held in Marina Del Rey, CA. For Atrial Fibrillation patients who can’t or don’t want to take anticoagulants, closing off the Left Atrial Appendage (LAA) is an option. The LAA is a small pocket of heart tissue located above the left atrium. You are typically looking at an occlusion device such as the Lariat or the Watchman (surgical removal is also an option) to close off or remove the LAA. The Lariat is relatively new, so, how does it compare to the Watchman? A serious problem with the Lariat is described as “the gunny-sack effect”. The LAA heart tissue between the lariat lasso atrophies and becomes thinner. As with a gunny sack, the multiple tight folds begin to loosen and unravel slightly leaving a hole. If the hole is large enough, blood may flow into and out of the dead LAA possibly carrying with it dead tissue remnants into the blood stream which can cause clots and strokes. The number of clot/strokes reported so far is very small compared with the total Lariat cases worldwide. Once this hole or leak is discovered, it’s relatively easy for the EP to fix by closing it off using one of several occluder devices. The Watchman device, in contrast, is basically a plug that closes off the LAA from the inside of the LAA. It’s inserted via catheter, positioned and inflated. It ‘screens’ any clots from leaving the LAA. Eventually, heart tissue grows over the area. But due to the typical non-symmetrical opening of the LAA, there can be leakage when the Watchman is installed due to the ‘edge effect’ (the device not always fitting perfectly). The leakage, though, isn’t generally large enough to permit clots to escape from the LAA into the heart. The incidence of leaks is around 30% to 35% depending on which research you look at. Eventually heart wall tissue grows over the occluded surface, with the exception of the bare metal screw visible after the Watchman is installed. But this does not necessarily block electrical activity coming from the LAA, so the edges of the LAA may have to be ablated (which can be challenging). To avoid this last scenario (A-Fib triggers coming from the LAA), your EP will typically recommend you first get a catheter ablation to isolate the LAA. Later, after the ablations scars (lesions) have healed, the Watchman can then be installed, if necessary. The Watchman device and the Lariat are FDA approved. Shannon Dickson, editor of THE AFIB REPORT, says he chose the Lariat “after already having had a successful LAA isolation ablation a year earlier which had eliminated the last remaining trigger source of a periodic LAA-based tachycardia. The reason I chose the Lariat in spite of having no more arrhythmia at all after that LAA isolation procedure, was to not only be able to stop all OAC drugs, but to add an extra measure of insurance that my LAA could never again become a source of any future arrhythmia. The prior successfully ablated LAA trigger source could never reconnect at some point and start the whole mischief again. By fully ligating the LAA with a successful Lariat or AtriClip procedure, the added bonus of full electrical isolation of the LAA is added to the obvious vascular isolation as well. The Lariat is a relatively new procedure with many questions from patients. Here are several of these questions with my thoughts after each one. Q: “What are the long-term effects of leaving dead heart tissue to dissolve and become reabsorbed on the left atrium and in the pericardium sack?” These are yet to be fully studied. Most of the time the LAA remnant shrinks and becomes a fibrous, hardened tissue. Preliminary data suggests that the hormones normally produced by the LAA are eventually re-produced by the Right Atrial Appendage (RAA) (it’s not talked about much, but yes, there is a Right Atrial Appendage too) and other parts of the heart. Most likely not. This hasn’t been an issue in all the years of surgical staple or suture ligation of the LAA. When the LAA shrinks and dissolves, it may form a permanent cap over any remaining hole. The perfect analogy here may be the umbilical cord after it is tied. The blood flow ceases and it becomes a hardened, fibrous structure. We know that the LAA shrivels up (like a grape into a raisin) and eventually disintegrates. On the inside of the heart where the LAA mouth was, heart tissue eventually grows over this now-closed mouth or opening. In general it takes around three to six months for heart tissue inside the heart to grow over the closed-off mouth of the LAA. On the outside of the heart, the LAA shrinks to a final-state cap over the closed-off LAA mouth in about a year or slightly longer and is somewhat variable per person. Most likely this dead LAA tissue won’t have a bad effect on the rest of the heart and body. In the experience of surgical stapling or sutures to close off the LAA, there hasn’t been a body of evidence of late issues or complications. Though again, it’s too early in the experience of the Lariat procedures to say this definitively. More study needs to be done to identify and define the actual processes and time table, but previous surgical studies and autopsies indicate that the dead LAA disintegrates and is eventually re-absorbed by the body. The Lariat’s “Gunny-sack” effect described above is relatively rare and is easily fixed. It shouldn’t be a major concern if you need to have a lariat device installed to close off your Left Atrial Appendage. Just make sure your EP checks the Lariat for leaks every three months during the first year after you get it installed. If your doctor doesn’t or won’t do that, find someone else to install the Lariat. In spite of the small risk of clotting with the Lariat, if you can’t tolerate taking anticoagulants, it’s still the procedure of choice (the Watchman device requires 6 weeks of anticoagulants post-procedure). But it’s a more complicated procedure than installing a Watchman. You should only go to an EP experienced at installing the Lariat. Overall, most people who have a Lariat installed are older with long-term persistent A-Fib, or with long-term paroxysmal A-Fib with the LAA as the prime driver of their arrhythmia. If you are worried about what happens to your LAA when it dies and disintegrates, and how it might affect your body and overall health, we have no evidence or experience that it is a long-term health risk. Which is Better―The Lariat or the Watchman? There haven’t been any head-to-head comparisons of the Lariat and Watchman. So far, reaching conclusions about the superiority of one device versus the other cannot be made at this time. The choice of device has to be made based on the individual needs of a particular patient. The annual international Boston A-Fib Symposium is one of the most important conferences on A-Fib in the world. It brings together researchers and doctors who share the latest information. 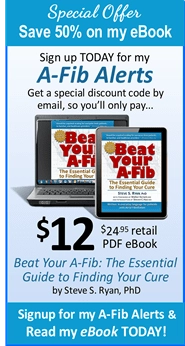 But if you haven’t read and understood most of A-Fib.com, it may be difficult reading. The 13th annual Boston A-Fib Symposium may mark the emergence of the Robotics Era in the treatment of A-Fib. Much attention was focused on the competing robotic ablation systems by Hansen and Stereotaxis. These systems are already changing the way doctors perform ablations, and will likely provide significant benefits to A-Fib patients. In what may be a major medical breakthrough, two doctors announced that they had combined Endocardial ablation (ablating inside the heart) with Epicardial ablation (outside the heart) to more effectively ablate sources of A-Fib which are hard to reach. Clinical trials are underway of the Watchman device for closing off the Left Atrial Appendage, which may well be another major medical breakthrough. In a simple, very low risk procedure performed in as little as twenty minutes, the Watchman device is inserted via a catheter into the Left Atrial appendage to close it off. This simple procedure reduces the risk of stroke by as much as 95%. 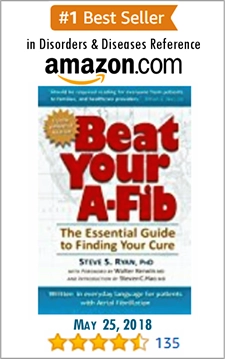 (The risk of A-Fib stroke risk is reduced to that of someone with a normal heart). Though no cases of Atrial-Esophageal Fistula were reported since last year’s Boston A-Fib Symposium, there was still a great deal of concern over this rare complication (a Fistula usually begins as an injury or lesion (Necrosis) of the Esophagus which then spreads to the Left Atrium creating a puncture). In a major change from current medical guidelines, Catheter Ablation is approved as first line therapy for A-Fib patients. Data from several research studies demonstrated that catheter ablation is significantly better at restoring and maintaining sinus rhythm than current antiarrhythmic (AA) drugs (one study showed a 64% difference). This Symposium featured two live catheter ablations: one from the Un. of Austin using the Hansen robotics system, and the other from Massachusetts General using the Phillips ultrasound 3-D imaging which produces a real time 3-D image during the ablation. Also, for the first time at a Boston A-Fib Symposium, there was a live satellite surgical ablation case (from the Medical College of Virginia). Ten years ago in 1998 the French Bordeaux group published their groundbreaking article demonstrating how A-Fib is initiated by ectopic beats in the Pulmonary Veins. This article helped develop catheter ablation as it is performed today. Many patients have been cured of A-Fib thanks to their pioneering research. Catheter Ablation Far Superior to Current Antiarrhythmic Drugs Kottkamp Is Catheter Ablation of Atrial Fibrillation Superior to Antiarrhythmic Drug Treatment for Rhythm Control? One of the most difficult challenges for A-Fib patients and doctors is to prevent A-Fib stroke. Oral anticoagulation with dose-adjusted warfarin remains the mainstream therapy for the prevention of A-Fib stroke. In A-Fib the atria don’t contract properly, which results in increased atrial pressure, atrial stretch, and dilation often leading to blood stagnation and clot formation. Atrial stretch also produces chemical changes in the atria (increased natriuretic peptide and decreased vasopressin) which can produce increased blood concentrations (often resembling a gelatinous, Jell-O-like substance), and increased platelet activity. The left atrium and particularly the Left Atrial Appendage (LAA) produce 70-90% of A-Fib clots. The LAA is a long, closed-end pouch which acts as a decompression chamber in volume overload where blood can easily stagnate. It has many cavities, resembling a piece of coral. Even when A-Fib patients are effectively anticoagulated, 14% of patients are still found with clots. However, approximately 4 weeks of warfarin therapy dissolves these clots in 75% of cases. According to Dr. Camm, patients today are generally being successfully managed with warfarin therapy to prevent thrombis (clotting), though there is room for improvement. Doctors today use a risk-based approach to stroke prevention. Each individual’s stroke risk is calculated to identify those who are at higher risk, and who may benefit most from anticoagulant (warfarin) therapy. The CHADS2 is currently the recommended risk model to determine anticoagulant use. For example, someone with a risk factor of 1 not receiving any anticoagulant therapy would have 1.9%-2.8% chance of having a stroke within a year, whereas someone with a score of 6 would have an 18.2% chance of having a stroke. Aspirin is recommended for A-Fib patients who have a low to intermediate risk of stroke, but aspirin only provides modest protection.2. Even young Paroxysmal (Intermittent) A-Fib patients with a high risk of stroke aren’t being properly anticoagulated. But studies show that there is no difference in A-Fib stroke risk between Persistent and Paroxysmal A-Fib. Warfarin therapy should depend on one’s CHADS2 score, not on what type of A-Fib one has. Though warfarin (brand name Coumadin) is very effective and reduces the risk of A-Fib-related stroke by about 70%, doctors are very aware of its problems and wish there were better options for patients. Narrow therapeutic window. Insufficient anticoagulation (INR less than 2) may result in stroke. Over-anticoagulation (INR over 4) increases the risk of bleeding. Late onset and offset. A patient has to be taking warfarin for a while for it to reach a therapeutic level. Unpredictable dose response. Genetic and other factors may influence how individuals react to warfarin. Drug-drug interactions. Certain drugs (and some supplements) interfere with warfarin. Problematic monitoring. It’s very difficult for both doctors and patients to monitor INR levels. Patients may be required to visit a doctor’s office weekly in order to be adequately monitored. Slow reversibility. It’s difficult to reverse, for example, a too high INR level. Dr. Waldo pointed out that this was only a partial list of the problems with warfarin. Dr. Waldo discussed ongoing research and clinical trials of alternatives to warfarin. Dabigatran is in Phase III clinical trials with 15,000 patients. (Phase III is usually the last phase before FDA approval.) Results are expected in 2010. Other possible future alternatives to warfarin are Factor Xa Inhibitors which work further up the anticoagulation pathway. They may cause fewer side effects, because they affect mainly coagulation and not other functions like thrombin. There are many different Factor Xa medicines in development, but they are not as far along in clinical trials as dabigatran. Once a patient’s Left Atrial Appendage is measured, a wide-sheathed catheter with a spline is used to insert the Watchman device which has a self-expanding Nitinol (a special metal) open-ended circular frame. The atrial surface of this frame is covered with a thin, permeable 160 μm (micron) pore filter made of polyester material (Polyethylene Terephthalate known as Dacron or PET). This filter allows blood to pass through while stopping clots. Little hooks or anchors called fixation barbs at the middle of the device make sure it is attached firmly to the LAA wall. The Watchman device comes in multiple sizes from 21mm to 33mm to accommodate the different sizes of LAAs. Before the catheter is removed (which fixes the Watchman device in place), contrast agents are used to make sure the Watchman device is stable and entirely closes off the LAA opening. Over time heart tissue grows over the polyester (PET) material so that it completely closes off the LAA with smooth heart tissue similar to other heart surfaces. In this Occlusion slide, heart tissue has completely covered the Watchman device after only nine months. Some doctors are inserting the Watchman device in as little as 20 minutes. It is a low risk procedure with no surgery or ablation involved. Patients on Coumadin continue to take it for six weeks after the Watchman device is inserted. They are then examined using a TEE (Transesophageal Echocardiogram) to make sure there is complete closure of the LAA. At that time they are taken off of Coumadin. The theory behind the Watchman device is that most A-Fib clots are found in the Left Atrial Appendage (LAA). Dr. Reddy cited a study where 98% of A-Fib strokes came from the LAA. Studies of the early Maze operations (in which the Left Atrial Appendage was routinely cut out and sewn shut) showed a major decrease in A-Fib strokes. After 11 1/2 years of following 265 patients, only one had a stroke. However, there was no way to determine if this stroke risk reduction was due to the elimination of A-Fib or to the excision of the LAA. Dr. Reddy cited studies of current Mini-Maze operations which show a high percentage of incomplete closure of the LAA. Even though surgeons have direct vision of the LAA and can over-sew or re-staple, sutures have a less than 50% success rate, while staples have a success rate of around 72%. In addition, 20% of patients in these studies later had strokes. Instead of sewing or using staples, surgeons are also researching the use of a fabric coated band which is placed as close to the base of the LAA as possible. This band draws shut and closes off the LAA in 16 weeks. Preliminary non-randomized data from the Watchman device clinical trials has been very positive. Following some patients for up to 5 years, there have been no strokes, cardiovascular deaths, or systemic embolisms (there were concerns about possible air bubbles forming in the heart due to the large catheter sheath used to insert the Watchman device). It will also directly measure how important the Left Atrial Appendage is to the development of A-Fib stroke. This clinical trial also examines if there are potential detrimental effects of closing off the Left Atrial Appendage. Though some heart pumping dynamics and other functions of the LAA may be lost when the Watchman device closes off the LAA, this seems a small price to pay to be freed from the threat of an A-Fib stroke. Since A-Fib is so damaging to the heart and to one’s overall health, most A-Fib patients probably won’t be satisfied with just having their Left Atrial Appendage closed off by the Watchman device, even though this would lessen the threat of an A-Fib stroke. People with other risks of stroke than A-Fib may opt for insertion of the Watchman device to prevent stroke. If insertion of the Watchman device becomes routine and easy to do, someone newly diagnosed with A-Fib with a moderate to high risk of stroke may have the Watchman device insertion procedure right away, while waiting for a catheter ablation to cure their A-Fib. Asymptomatic A-Fib patients at risk of stroke but who don’t want to take warfarin may be prime candidates for the Watchman device. Young people and athletes with A-Fib who do not have a high risk of stroke may not want the Watchman device, because of the potential damage to their heart’s dynamics from losing the Left Atrial Appendage. If the Watchman device works as intended, it may become part of most catheter ablation procedures. If the catheter ablation procedure were unsuccessful or in case of silent A-Fib attacks after ablation, the patient would still be protected from A-Fib stroke by the closing off of the Left Atrial Appendage. Dr. Pappone from the Italian Milan group announced an eight step ablation procedure for treating Chronic (all-the-time) A-Fib which is 93% successful. This is a significant improvement in the usual success rate for ablating Chronic A-Fib. 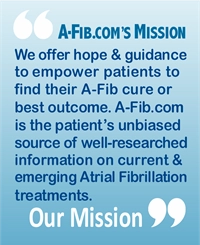 Another important development in ablating for Chronic A-Fib is the first clinical trials focusing on ablation of Chronic A-Fib in the US. Dr. Fred Morady of the Un. of Michigan is associated with these trials. His stepwise approach starts with Wide Area PV Ablation, then moves to Ablation of Fractionated Electrograms in the Left Atrium (particularly the septum and roof of the heart), the Right Atrium, the Coronary sinus and Superior Vena Cava until A-Fib can not be induced by isoproteranol. Since the Left Atrial Appendage (LAA) is so important in Chronic A-Fib, would closing off the LAA by the Watchman Device also help cure A-Fib, in addition to helping prevent A-Fib stroke? An Atrial-Esophageal Fistula typically occurs 3-10 days after an ablation, and begins as an injury, lesion, or ulcer (Necrosis) of the Esophagus which then spreads to the Left Atrium. An Atrial-Esophageal Fistula normally isn’t caused by an ablation catheter punching through the left Atrium into the Esophagus. Rather, the heat from an ablation catheter penetrates from the posterior Atrium wall to the Esophagus and causes the damage. The Esophagus lies directly behind the posterior left Atrium wall, usually near the Left Pulmonary Veins and Coronary Sinus. According to Dr. Nakagawa, Fistulas are associated with stomach acids [reflux] interacting with the damaged Esophagus. Stomach acids may reach the esophagus because of relaxation of the lower esophageal sphincter due to injury to the nerve system around the esophagus. According to Dr. Morady, a patient with an Atrial-Esophageal Fistula experiences pain when swallowing, and fever. These symptoms are often accompanied by clinical signs of blood bacteria (Bacteremia), inflammation of the lining of the heart and valves (Endocarditis), and/or Emboli (bubbles). In a study using canine models by Dr. Hiroshi Nakagawa from the Un. of Oklahoma, preventive measures were employed during Pulmonary Vein Ablations such as using only 15-25 Watt power catheters for 30 seconds near the Esophagus, and an Esophageal temperature probe calibrated to stop the ablation if there was a temperature rise of just 0.2°C in the Esophagus. Even with these precautions, an inspection of the interior of the Esophagus the next day (an Endoscopy), revealed Esophageal lesions in 46% of subjects. However, treatment with sucralfate (brand name Carafate—a medicine used to heal ulcers) and a Proton Pump Inhibitor omeprazole (brand name Prilosec) for two weeks prevented any Fistulas from forming. (It is disturbing that, even when taking precautions, 46% of ablation patients developed Esophageal Lesions. However, the major medical breakthrough news is that Esophageal Lesions were prevented from developing into Fistulas by a simple two-week treatment with Carafate and a Proton Pump Inhibitor. This treatment works possibly because it prevents stomach acids from irritating the damaged Esophagus. But be advised, this data is new, preliminary and experimental, and has not been extensively studied. Dr. Morady discussed what treatments to use if someone develops Atrial-Esophageal Fistula. Perform a CT scan with water soluble contrast by mouth, looking for: In the chest, air in the space between the lung sacks (the Mediastinum), and for Fistulous tracts. Do not use TEE (Transesophageal Echocardiogram) or Endoscopy, because they might damage or irritate the Fistula. What’s the best ablation technique for curing A-Fib? Dr. Morady described how and why he and his colleagues back in 2006 changed from the Circumferential PV Ablation approach to a more tailored, individualized segmental treatment of A-Fib patients. (For a more detailed explanation, see Morady Boston A-Fib Symposium 2006). While medical guidelines recommend that A-Fib patients try one or two antiarrhythmic drugs before they can receive a Pulmonary Vein Ablation (Isolation) procedure, several studies indicate that ablation is far superior to current antiarrhythmic meds. Dr. Kottkamp described a study which compared the drugs quinidine plus verapamil and sotalol to a placebo. Patients were followed for a year with a very high quality protocol using daily Tele-EKGs (telephone transmission of EKG signals). The antiarrhythmic meds were better than the placebo, but not by much. Even studies of the new experimental antiarrhythmic drug Dronedarone indicate it is only 10-15% better than a placebo. For example, in the third study by Dr. Pappone, the drugs amiodarone, flecainide, and sotalol had an effectiveness ranging from 20%-30%; whereas Catheter Ablation had a success rate of 86%. (That’s a 64% difference in effectiveness!) The other two studies had similar results. From a patient’s perspective, the complications from taking antiarrhythmic drugs are dissimilar and unequal to those arising from a Catheter Ablation. Antiarrhythmics may produce a long-time complication risk. Drugs such as amiodarone may cause thyroid or other toxic problems, flecainide can lead to Ventricular Tachycardia or Atrial Flutter, sotalol may cause sexual impairment. In the three studies cited above, these antiarrhythmic drugs caused 23% of patients to withdraw from the studies. Another serious complication of antiarrhythmic drugs is the A-Fib patient’s risk of “remodeling” in which the heart is stretched, develops more Fibrosis, and progresses to Cardiomyopathy. Dr. Kottkamp showed a disturbing visual of a patient’s heart tissue in sinus rhythm with 5% Fibrosis, a Paroxysmal patient with 14% Fibrosis, and a Persistent patient with 35% Fibrosis. Fibrosis is generally considered irreversible. Currently we do not know how fast the heart progresses through the different stages of A-Fib Fibrosis. As Dr. Jeremy Ruskin of Massachusetts General pointed out in a talk at Cardiostim 2008, “…we certainly know that ablation makes people feel better.”Anyone who has been cured of A-Fib by a Catheter Ablation (as this author was in 1998) can testify to how wonderful it feels to have a heart that beats normally again. In addition, as Dr. Kottkamp pointed out, a successful Catheter Ablation, seems to improve overall heart health, even in patients with heart failure and Fibrosis. Though current guidelines recommend trying two antiarrhythmic drugs before one can get a Catheter Ablation, this policy seems outdated and not in the best interest of most A-Fib patients. The consensus statement is intended to provide a foundation of techniques, definitions and guidelines for Catheter and Surgical A-Fib ablation. Here are excerpts from the consensus document and its goals. (Many medical organizations participated in developing this consensus statement. They are listed on the References page.8The complete text can be found at Consensus Statement for A-Fib. 2. Identify the symptoms and clinical situations where catheter and surgical ablation is appropriate. “Patients who prefer a surgical approach, have failed one or more attempts at catheter ablation, or are not candidates for catheter ablation” such as those allergic to anticoagulants, or who have a thrombus (clot) in their heart. Surgery may also work better for severely obese people. 5. Determine procedural “end points”—situations where an ablation would be considered a success or failure. A blanking period (time to allow the heart to heal from the ablations) of three months should be allowed before monitoring for reoccurrence of A-Fib, A-Flutter and/or Tachycardia; and repeat procedures should be delayed for at least three months. 6. Help decide anticoagulation strategies. Warfarin therapy should be continued in patients with a CHADS2 score of 2 or more. Outcomes are better at centers that have performed more than 100 procedures. Electrophysiologists should perform several A-Fib ablation procedures per month if they intend to remain active in this area. 8. Specify patient follow-up criteria. Patients should be seen in follow-up at a minimum of three months following the ablation procedure and then every six months for at least two years. 24-hour Holter monitoring is recommended at three to six month intervals for one to two years following ablation. For patients who complain of palpitations during follow-up, an event monitor should be used to screen for recurrent A-Fib, A-Flutter, and Tachycardia. A report of the Heart Rhythm Society (HRS) Task Force on Catheter and Surgical Ablation of Atrial Fibrillation. These circular and mesh array shaped catheters are also probably years away from FDA approval. Like balloon catheters they can fit into a pulmonary vein opening and isolate the opening in two or more passes. An important recent innovation for patients is the Watchman Device. The theory behind the Watchman Device is most A-Fib clots originate in the Left Atrial Appendage (LAA). The Watchman Device closes off the LAA where 90-95% of A-Fib strokes come from. It’s a relatively low risk procedure compared to open heart surgery. It takes only a short time to install. Then you would usually not need to be on blood thinners. Before the catheter is removed (which fixes the Watchman device in place), contrast agents are used to make sure the Watchman device is stable and entirely closes off the LAA opening. Over time heart tissue grows over the polyester (PET) material so that it completely closes off the LAA with mooth heart tissue similar to other heart surfaces. In this Occlusion slide, heart tissue has completely covered the Watchman device after only nine months. Some doctors are inserting the Watchman device in as little as 20 minutes. There is no surgery or ablation involved. Coumadin reduces but does not totally eliminate the risk of stroke. Even with the proper INR levels of Coumadin, a small number of people with A-Fib have had strokes. The Watchman device also reduces but does not totally eliminate the risk of stroke. Like Coumadin, the Watchman is not an absolute guarantee one will never have a stroke. It basically reduces the risk of stroke similar to that of a person with a normal heart. Those of us who hate having to take Coumadin or blood thinners will be able to go in for a procedure that takes as little as 20 minutes, and replace Coumadin and blood thinners with the Watchman. This is incredibly good news for many of us. Even while we are waiting for or trying to decide on having a Pulmonary Vein Ablation, we can have the Watchman inserted and reduce our risk of stroke similar to that of a person with a normal heart. The Watchman device may become part of most catheter ablation procedures. If the catheter ablation procedure were unsuccessful or in case of silent A-Fib attacks after ablation, patients would still be protected from an A-Fib stroke by the closing off of the Left Atrial Appendage. The Watchman Device may become standard therapy not just for people with A-Fib, but also for anyone at risk of a stroke. For a 2014 update about imaging, see my AF Report: Non-Invasive Electrocardiographic Imaging—ECGI—CardioInsight. Most of the imaging technologies described here are in use today and represent huge advances in patient treatment. Ordinary ablations use Fluoroscopy, a type of X-ray to see inside and ablate the heart. But it is two dimensional. Intercardiac Echocardiography (Ultrasound) (ICE) is also 2-D but provides excellent anatomic detail and assistance in navigating and positioning the catheter. From a patient’s perspective, should you try to find a larger facility that has CartoSound rather than one that only uses 2-D fluoroscopy? Doctors using CartoSound would seem to have better imaging tools to do ablations. But doctors using fluoroscopy also get good results. The annual AF Symposium (formerly called the Boston AF Symposium) is an intensive and highly focused three-day scientific forum that brings together the world’s leading medical scientists, researchers and cardiologists to share the most recent advances in the treatment of atrial fibrillation. 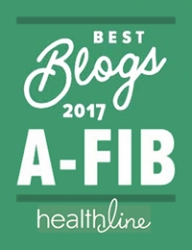 I attend in order to offer A-Fib.com readers the most up-to-date A-Fib research findings and developments that may impact the treatment choices of patients who are seeking their A-Fib cure (or best outcome). One of four water slides at the Orlando World Center Marriott. The grounds were relaxing as well as beautiful and a fun walk after spending 10-11-hour days concentrating on heavy-duty, content-rich talks. I was surprised at how crazy the air conditioning was at the Marriott. In the morning in the large meeting room you’d be freezing and need a heavy jacket. Then in the afternoon sometimes they’d shut off the AC and you’d be sweltering and stinky and need a shower before the next meeting. As a journalist, my registration fee was waived, but all my other costs were out-of-pocket. So, I stayed at the Motel 6 down the road for $30+ a night (with AARP discount) and drove a Payless rental car from the Orlando airport for $13.00/day plus taxes (I brought my own GPS for the car). But the Marriott did get me for $18.00/day to park in their garage. Dr. Jeremy Ruskin, Director of the Symposium, announced that next year the AF Symposium hotel location will move to the Orlando Hyatt Regency and will be scheduled a week later in the month, January 14-16, 2016. The later date will help avoid the mad dash right after the New Year holiday to get organized, make travel plans, etc. Dr. David Keane of St. Vincent’s University Hospital in Dublin, Ireland, gave a heart-warming, nostalgic presentation about how the Boston/Orlando AF Symposium has developed and evolved over 20 years. He found a wealth of old photos starting when the Symposium was only a one-day meeting for local doctors. He showed an ‘excited’ Dr. Jeremy Ruskin back in 1995 initiating the first AF Symposium in Boston. One of the most surprising slides was of a draft of a proposed schedule by Symposium Director, Jeremy N. Ruskin. It read “JNR Draft 58”! Dr. Ruskin said he has probably put in about 10,000 hours over 20 years planning the Symposiums! Many speakers offered their heartfelt thanks to Dr. Ruskin for his incredible efforts. Dr. Ruskin Asked: Can Anyone in A-Fib Really Be Asymptomatic? LAA Occlusion Devices: Is the Watchman Device Dead in the Water? Reversal Agents for the New Anticoagulants (NOACs)? Female Gender: Is it a Risk Factor for Stroke? Dr. Gerhard Hindricks of the University of Leipzig in Germany gave a dynamic presentation of a catheter ablation of a 46-year-old female with paroxysmal A-Fib using the Rhythmia 3-dimensional multipolar mapping system by Boston Scientific. Along with his colleagues Drs. Andreas Bollmann and Jedrzej Kosiuk, they used the Rhythmia special basket catheter to generate a 3-D map of electrogram voltages and activation times. To me it seemed amazingly fast. The eight-splined bidirectional catheter produced 1,000 data points per minute. In what seemed like only a few passes, they produced a 3-D color reconstruction of the patient’s left atrium. The actual ablation was routine. They terminated the A-Fib into sinus rhythm without having to use Electrocardioversion. But they found that the PV isolation was incomplete. Using the same Rhythmia 3-D mapping catheter, they were easily and quickly able to locate the gap in the Left Superior PV and ablate it. Dr. Vivek Reddy from Mount Sinai School of Medicine in New York City gave a very well referenced and persuasive presentation on the Watchman device which closes off the Left Atrial Appendage to prevent clots and strokes. The theory behind the Watchman device is that most A-Fib clots originate in the Left Atrial Appendage (LAA). The Watchman closes off the LAA where 90-95% of A-Fib strokes come from. It’s a very low risk procedure that takes as little as 20 minutes to install. Afterward, you would usually not need to be on blood thinners. (For more, see my article, The Watchman Device: The Alternative to Blood Thinners). Dr. Reddy certainly persuaded me that the FDA should approve the Watchman device. Dr. Reddy, earlier in Washington, had made the same persuasive arguments before the FDA. Dr. Andrew Farb from the FDA took the bull by the horns and gave his perspective on the various LAA Closure (Occlusion) Devices. But as one would expect, he didn’t indicate how the FDA would rule on the Watchman device, since deliberations were still ongoing. After his presentation, I asked him several pointed questions about this, but he was, of course, careful not to comment about current FDA deliberations. My guess? If body language, momentum, mood of the presentations, and more importantly recent research indicate anything, the Watchman device probably will not be approved by the FDA. There was a palpable sense of sadness at the end of these presentations. The attendees realized that the game may be over for the Watchman device. I hope I am wrong, since the Watchman device would be an important tool to help A-Fib patients. Once the FDA rules and the current clinical trials of the Watchman device end, you will probably have to go to Canada or overseas to get a Watchman device installed. In my earlier brief reports on the Orlando AF Symposium, based on the recent research and the FDA presentation, I said the Watchman device probably won’t be approved in the US. I’m happy to say that I am most likely wrong. At the LAA Symposium 2015 in Marina del Rey, CA, it was suggested that the Watchman device may be approved by the middle of this year. One presenter described how the FDA chairman talked with several people who were going to Canada to have the Watchman device installed. He seemed embarrassed that the Watchman was available everywhere in the world but not in the US and said that it has to be approved. Other doctors I talked with at the LAA Symposium were of the same opinion. Presenters described how clinical trials for other LAA closure devices were on hold so that they could get approved in comparison to the Watchman (Non-Inferiority Trials). Dr. Dhanunjaya Lakkireddy of the University of Kansas Medical Center said that we are at a “tipping point” for the (A-Fib) industry. As everyone, including the FDA, is well aware, A-Fib innovations usually start in Europe where they are more easily approved. Then only later do they move to the US for FDA approval, since the FDA generally requires more data than European regulators. Drs. Jun Dong and Andrew Farb from the FDA described the FDA’s ‘Easy Feasibility Study’ (EFS) program where medical device innovations could be evaluated in the US without having to go to Europe first. He encouraged researchers and attendees to take advantage of the new EFS program. This is major news and may make the development of A-Fib innovations much easier to accomplish in the US. Dr. Luigi Di Biase from the Albert Einstein College of Medicine in the Bronx, NY and Dr. Daniel Singer from Massachusetts General Hospital in Boston each described potentially great developments in reversal agents for apixaban (Eliquis) and rivaroxaban (Xarelto). Dr. Di Biase described studies where leaving people on uninterrupted rivaroxaban and apixaban before, during and after an ablation dramatically reduced the amount of silent thromboembolic lesions and were as safe as warfarin with regards to stroke and TIAs. (This didn’t work with dabigatran [Pradaxa].) But if patients develop bleeding or effusion during the ablation, they are in trouble because there is no direct reversal agent as there is for warfarin. He has used Factor IV as an indirect reversal agent. Dr. Singer also described how Factor IV was used as a reversal agent for apixaban. But there are new reversal agents for apixaban and rivaroxaban which promise to completely reverse the effects of these two drugs in less than four minutes. The FDA is speeding up studies on these reversal agents. But one never knows when or if the FDA will approve them. Dr. John Day of the Intermountain Heart Institute in Murray, UT (and recently elected president of the Heart Rhythm Society) may be the first A-Fib leader to publicly question whether women should be given one point on the stroke risk CHA2DS2-VASc scale just because of their gender. Many doctors have said this in a circumspect way. Dr. Eric Prystowsky in a presentation at last year’s AHS meeting thought that most doctors would agree with Dr. Day, “as long as there wasn’t a camera focused on them.” He gave the example of a 45-year-old woman in good health and a 45-year-old man with hypertension who according to current guidelines should both be given one point on the stroke risk CHA2DS2-VASc score. As readers of A-Fib.com, you know that’s been my opinion ever since the original European guidelines came out. Women in their child-bearing years are much less at risk of stroke because of the blood-thinning effect of losing blood each month. And even after menopause women have less risk of stroke. But eventually they do have more strokes. But not because of an innate inferiority, but because women live longer than men. Stroke is age related. An observational Danish registry study documents this. For more, see The Denmark Study: Women in A-Fib Not at Greater Risk of Stroke Contrary to CHA2DS2-VASc Guidelines!) (Be advised that the original European guidelines were written by doctors with major conflicts of interest.) These guidelines may be a not so very subtle form of gender bias. Living in A-Fib is more dangerous than having an ablation, according to Dr. Josef Kautzner from Prague, the Czech Republic. Studies have documented that the adverse effects of living in A-Fib, having to take A-Fib drugs and anticoagulants for life are both pragmatically and statistically worse than having an ablation. Dr. Kautzner discussed how A-Fib can cause or is associated with silent brain lesions and dementia. Any time you go into a hospital is a risk. And no one would say that a catheter ablation is a walk in the park. But an ablation is a low risk procedure, though not risk free. The risk is similar to having your tubes tied. The possible adverse effects of an ablation procedure (like bleeding at the groin) are generally temporary, unlike the lasting, permanent damage you can do to your heart, body and brain by living in A-Fib for years. The most hotly discussed topic at this year’s symposium was rotors. The opinions expressed about rotors were at times very heated, more than I had ever seen at an AF Symposium. Dr. Shih-Ann Chen of Taipei, Taiwan disagreed with Dr. Sanjiv Narayan of Stanford, CA about the basic concepts of rotors and how they should be defined. Dr. Ravi Mandapati of UCLA and Loma Linda University disagreed with Dr. Narayan which was all the more striking in that he had worked with Dr. Narayan when he was at UCLA. Dr. Pierre Jais of Bordeaux, France said that the FIRM mapping system misses 40% of the atrium area. Drs. Haissaguerre and Jais from Bordeaux and Dr. Sebastien Knecht of Brussels, Belgium gave presentations on how they were using the CardioInsight body surface mapping vest to perform ablations of “drivers” at many different centers, while Dr. Karl-Heinz Kuck from Hamburg, Germany using a different body surface mapping system said that he couldn’t ablate rotors. Dr. Narayan says the FIRM system finds a maximum of 2-3 rotors in the atria, while other systems find as many as seven. The FIRM system says rotors are usually relatively stable and can last as long as 30 seconds while others say they rotate in one fixed spot for only one or two rotations, that they tend to migrate within a certain area. The presenters obviously didn’t share a consensus of basic concepts of what rotors are, how they work, their importance in A-Fib, how they should be correctly identified, used, and ablated. (It seems to me the Bordeaux group has the best understanding and pragmatic use of rotors. They refer to “rotors” and focal sources as “drivers.”) But the CardioInsight system Bordeaux uses isn’t currently available or isn’t being tested in the US. Obesity was one of the most often discussed topics. There is a growing consensus among EPs that it isn’t enough to just give obese patients a catheter ablation while not dealing with their obesity. If the obesity isn’t dealt with, their A-Fib is very likely to re-occur. A-Fib will develop in other spots that haven’t been ablated. The condition (obesity) that triggered or caused the A-Fib will trigger or cause it again, if it isn’t taken care of. Dr. Prashanthan Sanders of Adelaide, Australia described the great results he is getting in his clinic which includes a weight loss program and counseling. He convinces his overweight patients to buy into the program, lose weight, and keep it off. The program works so well that just by losing weight patients become A-Fib free. This program is a holistic approach to health and also is developed to work for diabetes, sleep apnea, hypertension, binge drinking and smoking. Dr. Sanders foresees a world where some patients become A-Fib free simply by changing their life style, where they don’t have to have a catheter ablation to become A-Fib free. Many other doctors commented that A-Fib treatment at many centers today includes or should include much more than A-Fib ablation and drugs. A-Fib centers should have nutritionists, exercise therapists, sleep apnea specialists, etc. as part of their A-Fib program. Dr. John Day of the Intermountain Heart Institute in the Challenging Cases Discussion described his experience with the dreaded Atrial Esophageal Fistula. Though very rare, this is one of the few possible complications of a catheter ablation that can kill you. An ablation, if not done with caution, can irritate and damage the esophagus which often lies right next to the heart. Over 2-3 weeks stomach acid can eat through this damaged area to produce a hole or fistula from the esophagus into the heart. As soon as Dr. Day saw this patient, he knew it was a fistula and immediately called surgeons and a GI doctor. All the surgeons were doing operations and didn’t want to do the surgery in the EP lab. Dr. Day described how he and his colleagues ran down the hospital hallway to the operating room while giving the patient a transfusion and at the same time pumping out the blood escaping from his heart. The GI doctor got there first and put in a stent in the esophagus to plug the hole. There was lots of discussion as to whether this was the best approach, but it worked. The patient survived but had to spend a month in the hospital. Dr. Peter Kowey of Lankenau Hospital in Winnewood, PA described a case that illustrates the kind of dilemma both doctors and patients often have to face. A 92-year-old woman with paroxysmal A-Fib who had been treated for many years with warfarin had some bruising and nuisance bleeding, but never anything major. Dr. Kowey thought that ethically he should tell her about the different new anticoagulants which may be superior to warfarin, then see if she wanted to change. She went with apixaban (Eliquis), then six months later had a stroke even though she was taking apixaban properly and conscientiously. Happily, she made an almost full recovery. She returned to warfarin which had worked for her in the past and which she was comfortable using. One of the reasons Dr. Kowey discussed the new anticoagulants with his 92-year-old patient was because warfarin is considered more apt to cause bleeding in older patients. The newer anticoagulants in clinical trials caused less bleeding. But we don’t have much data from the clinical trials on people over 90 years old. Can we say that apixaban didn’t work or was ineffective? No. Anticoagulants reduce but do not totally eliminate the risk of an A-Fib stroke. Just because she had a stroke doesn’t mean apixaban didn’t work. For more, see my 2013 BAFS articles, The New Anticoagulants (NOACs) and Warfarin vs. Pradaxa and the Other New Anticoagulants. In the satellite case live presentations, Drs. Rodney Horton and Amin Al-Ahmad from the Texas Cardiac Arrhythmia Institute in Austin, TX surprised us by doing an ablation without wearing the standard lead aprons to prevent fluoroscopy exposure. Even more surprising was one of the lab assistants who was pregnant. She could work on the ablation because no fluoroscopy was used. The doctors did the whole ablation using ICE (Intracardiac Echo) and 3D mapping. They showed for example how ICE can be used to thread the catheter up into the heart and into the left atrium. Dr. Horton said that not having to wear those heavy lead aprons would probably add 5-10 years to his ablation career. The live satellite case from Beijing, China was technically flawless and probably a first of its kind. But it wasn’t much of a learning experience for the attendees. The Chinese EPs only used one catheter and had to frequently pull out the mapping catheter and replace it with the ablation catheter, etc. When the expert panel asked them questions, the Chinese EPs either didn’t understand or simply didn’t answer them. They seemed very uncomfortable. It seemed like a throwback to ablation techniques of 20 years ago. Drs. Kevin Heist and Moussa Mansour from Massachusetts General in Boston showed in a live case how they used a Contact Force Sensing catheter combined with Jet Ventilation. (There are two Contact Force Sensing catheters approved by the FDA—the ThermoCool Smart Touch device by Biosense Webster (approved Feb. 24, 2014) and the TactiCath Quartz Contact Force Ablation Catheter by St. Jude Medical (approved Oct. 27, 2014). This live case used the TactiCath catheter but didn’t imply or suggest it is superior to the ThermoCool catheter. For a description of each, see my 2014 AF Symposium report The New Era of Catheter Ablation Technology: Force Sensing Catheters. This combination of Force Sensing Catheter with Jet Ventilation for RF ablation probably represents the most advanced RF ablation strategy available today. Jet Ventilation doesn’t stop the heart from beating as in bypass surgery. But to this observer it seemed to put the heart in a type of slow motion with a lot less movement than when the heart is beating in normal sinus rhythm. You could really see a difference when they turned the Jet Ventilation off and on. Slowing down the heart like this helps the ablation doctor make lesions in hard-to-access areas and makes it easier to hold the catheter steady and apply the right contact pressure. Drs. Michel Haissaguerre and Pierre Jais from Bordeaux/LYRIC gave presentations on the ECGI system. The day before their ablation, the patient lies down on his/her back and a technician places a vest-like device with 256 electrodes over his/her chest and stomach. These electrodes combine with rapid CT (Computed Tomography) scans to produce a very detailed 3D color map of the heart. (For a detailed description and discussion of the ECGI system, see 2013 BAFS: Non-Invasive Electrocardiographic Imaging [ECG]) The system automatically detects rotors and foci and computes them into a “Cumulative Map” or movie. These driver regions are ranked, based on statistical prevalence. Then, Dr. Sebastien Knecht from CHU Brugmann, Brussels, Belgium, described the AFACART trial design and preliminary results using the CardioInsight ECGI system. Many centers in Europe including four in Germany are now using the CardioInsight. Requiring very little training, technicians and EPs using the CardioInsight system are getting similar great results like the Bordeaux group. Though these studies just started, it looks like the CardioInsight ECGI mapping and ablation system is poised to revolutionize the way EPs map and perform ablations. In his continuing studies of sheep, Dr. Jalife found that fibrosis predicts recurrence, and that fibrosis can not be reversed if it is well established, even with GAL-3 Inhibitors. Note: My most recent reports are listed first. I am most grateful to MediFore Limited which published the AF Symposium News each day and in particular to Editor-in-Chief Peter Stevenson and Editors Rysia Burmicz and Alastair McQueen for their excellent articles. Yes, this fascinating research, though not directed specifically to Atrial Fibrillation, may prove to be very important to A-Fib patients. These groundbreaking studies focus on using stem cells to regenerate damaged heart tissue. Working with heart attack victims who had suffered major heart scarring, doctors infused into their damaged hearts, stem cells that had been harvested and grown from their own heart. Scar tissue decreased—shrinking between 30% to 47%. New heart tissue was generated—the stem cell recipients grew the equivalent of 600 million new heart cells. Their ejection fraction increased from the low 30% range to almost normal. Patients who received these stem cells had significant improvements in heart function, physical capacity, and scored better on quality-of-life questionnaires. MRI and ultrasound imaging revealed that areas where stem cells were infused showed major improvement which continued for over a year. Their heart damage was reversed without dangerous side effects. What does this mean to A-Fib patients? For someone with Atrial Fibrillation, the research studies’ terms of ‘scar tissue’ and ‘heart damage’ translates to ‘fibrosis’, that is, tissue that becomes fibrous and inflexible. Fibrosis in A-Fib patients is linked to enlargement of the heart and the increased threat of stroke. if injected stem cells can somehow signal the heart to repair itself, this may turn the A-Fib patient’s fibrosis and scarring back into normal heart muscle. The fibrosis and scarring associated with A-Fib would no longer be permanent and irreversible. 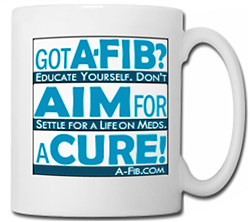 Maybe someday we could be cured of A-Fib through stem cell infusion rather than with ablation burns or surgery. For more read my article: “Stem Cells Reverse Heart Damage—May Repair Fibrosis and Scarring in A-Fib”, and my reports: 2013 BAFS: A-Fib Produces Fibrosis—Experimental and Real-World Data, and BAFS 2014: High Fibrosis at Greater Risk of Stroke and Precludes Catheter Ablation: Lessons Learned from the DECAAF Trial. A new ablation technology, radiosurgery, used initially in the field of oncology (on cancerous tumors), is minimally invasive, and provides accurate placement of beam energy that is guided by imaging. This technology may have inherent advantages over catheter energy delivery, which relies on perfect tissue contact for placement of continuous lesions. Using 3-D treatment planning software and technology, the energy delivery is highly focused so as to minimize any possible long term radiation effect on other organs nearby. Radiosurgery can reliably control and predict lesion size for an individual patient’s anatomy. Radiosurgery application for treatment of arrhythmia is in pre-clinical studies. Radiosurgery technologies and enabling software have been developed by Accuray Inc. (Cyberknife), CyberHeart Inc. and CardioPlan. The concept of this non to minimally invasive energy delivery is intriguing. Though there are many obstacles and a possibly huge learning curve to applying Radiosurgery to the treatment of A-Fib, the potential is incredible! Imagine a completely non-invasive procedure to replace catheter ablation and surgery! We wish CyberHeart the best and will continue to follow their progress. Dr. Reddy posed the question, ‘Why do ablations fail?’ The most common reason is a gap in an ablation lesion. Dr. Reddy showed slides of a typical wide area antrum isolation ablation with remarkably precise point-by-point burns. But there was a slight gap which let A-Fib signals escape from the pulmonary veins into the rest of the heart. But Non-PV triggers can also cause ablation failure. The choices ranged from 5% to over 25%. The actual rate of non-PV triggers is approximately 23%. Dr. Reddy showed how the ‘carina’ (the area in the heart between the left and right pulmonary vein openings) is often a source of A-Fib triggers and of recurrence after an ablation. According to the study cited, “the carina region (has an) apparently unique electrical behavior.” To effectively isolate PVs, it is frequently necessary to target within the circumferentially ablated veins in the carina region, even though there is a risk of stenosis. Where are the non-PV triggers usually from? Paroxysmal patients over 80 years old had many more non-PV triggers than other patients. In a study of 197 paroxysmal A-Fib patients from 2009 to 2012 using irrigated tip RF catheters and extraostial PV isolation, there were non-PV triggers in 23.7% of patients. In patients who had recurrence, 70.8% had non-PV triggers. In patients who had recurrence, 70.8% had non-PV triggers. Dr. Reddy’s research is important for EPs who will now look more closely at areas like the Carina and the Left Atrial Appendage to find and ablate/isolate non-PV triggers. What does Dr. Reddy’s research mean for patients? Since 23% of A-Fib ablation triggers are found in other areas of the heart than the pulmonary veins, a simple Pulmonary Vein Isolation (PVI) or Maze surgery may not be enough to cure your A-Fib. If you are considering (Wolf) Mini-Maze surgery, be aware that most Mini-Maze surgeries only isolate the PVs. Your chances of having non-PV triggers which a Mini-Maze surgery will not ablate/isolate are approximately 23%. That translates to at least a 23% chance of failure. If you have non-PV triggers or A-Fib/Flutter coming from the right atrium, most Maze surgeries won’t make you A-Fib free. Surgeons currently do not access the right atrium during most Maze surgeries. To take care of these other A-Fib spots, you will have to schedule a catheter ablation.